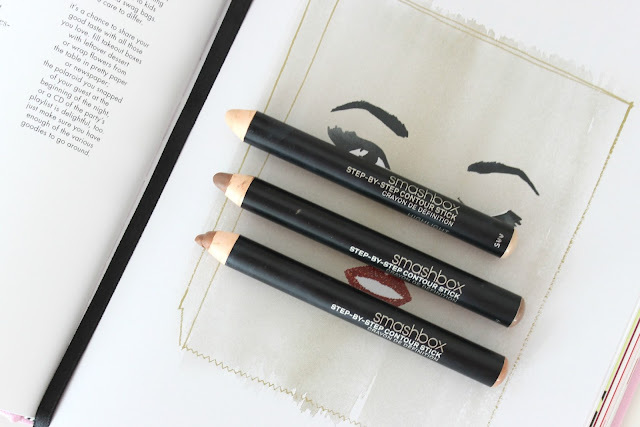 I posed a fun little GIF about these Smashbox Contour sticks on Instagram a while back, but I thought I would do a dedicated post about them. They're something that was in the swag bag at Genbeauty, and I've really been loving playing around with them. 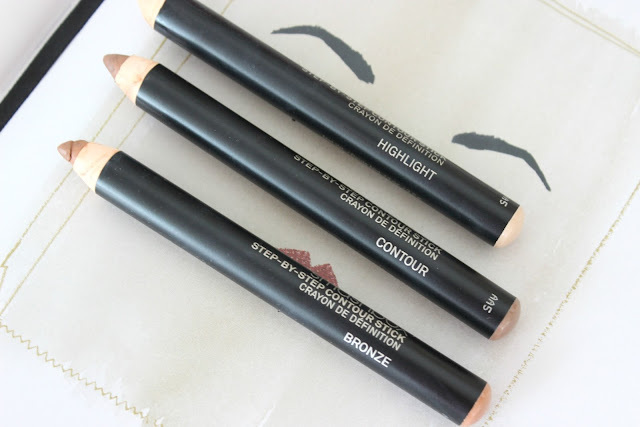 I haven't heard a lot about these items in terms of cream contour sticks, that's why I thought I should share my experience using them with you. First off, because they are a cream, you need to make sure you apply this before any powder (rookie mistake I made the first time I tried them out). Second, if you use a very mattifying foundation like I do, you want to apply this relatively quit after putting on your foundation. It will drag and life the foundation in certain places if your foundation sets. As you can see, the set contains a bronzer, contour, and highlight stick. You would apply them in the same places you put a powder highlight (obviously), but because they are a creamy formula, you want to apply a bit less, because they will blend out more than powders do. 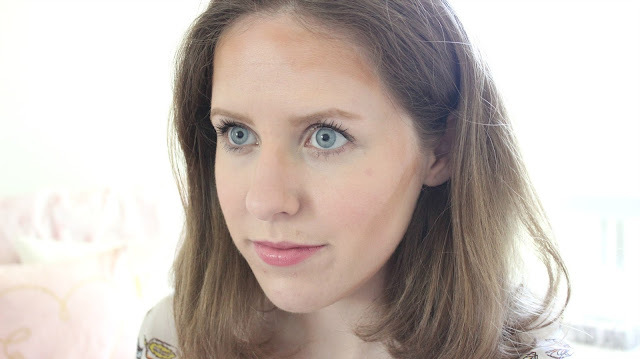 I find that the contour shade is a gorgeous cooler toned shade, and works amazingly well at creating a natural shadow. 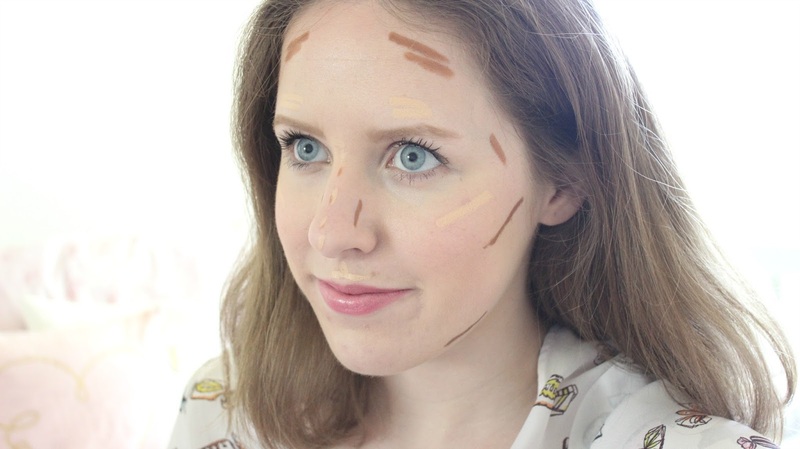 I've yet to find a contour colour that doesn't look overpowering on my super pale complexion, but this one fits the bill. The bronzer one is also really flatting, on my complexion at least. It's the most pigmented of the three, so it's easy to go overboard. I generally do one to two stripes on each side of my temple. It creates a natural, sun kissed bronzey glow. It should be noted that none of the stick have a matte finish, and instead keep that creaminess to them. The highlight is a bit darker and yellow-ier than I would normally go for, so I often sub-in my Clinique Heafy Highlight instead for a cream highlighter. 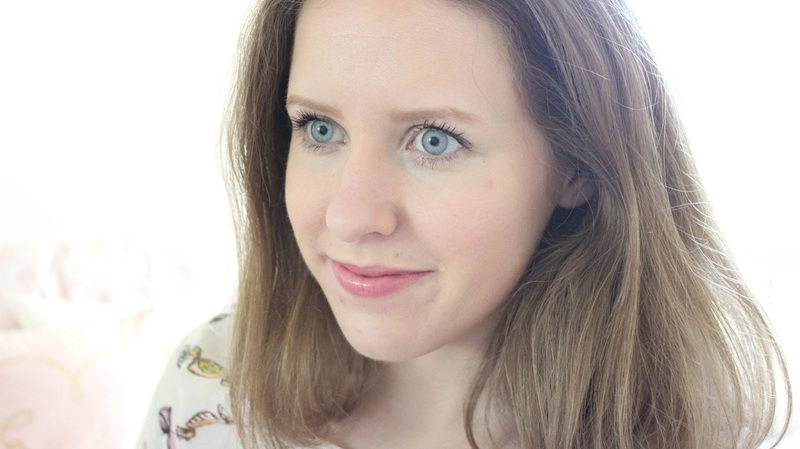 It almost looks like a concealer on my complexion, and I find it slightly patchier than the other two to blend. 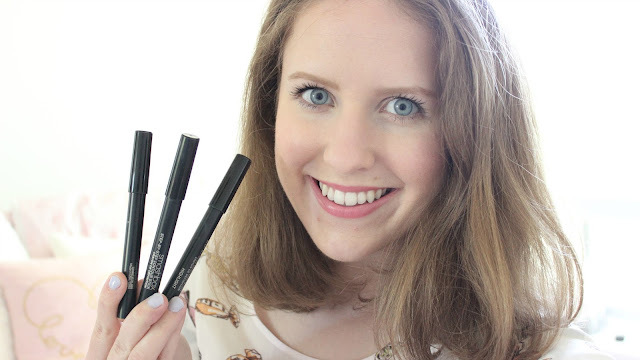 Overall, I really like this contour trio, and I think if you're looking for a really natural finish for the summer, then this set is a must-have.